Bridgend council has been criticised by a watchdog for failing to adequately monitor a looked-after child's savings accounts while he was in their care. 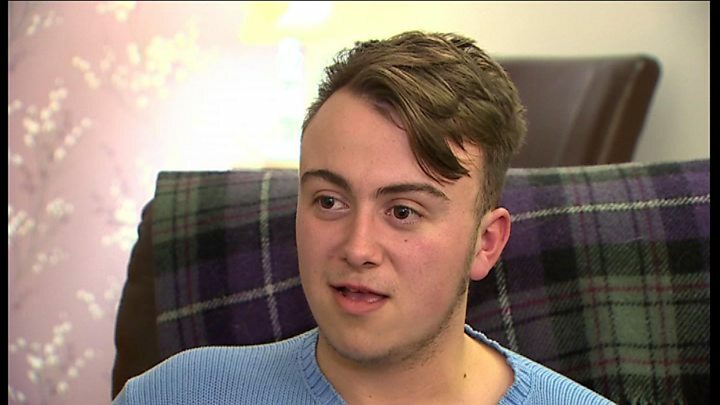 Rob Johnson, who was two when he was fostered, said some of his savings were wrongly used to pay for trips. An investigation by the Public Services Ombudsman for Wales, Nick Bennett, found the council's monitoring amounted to maladministration. The council said it took its role as corporate parents extremely seriously. The ombudsman called on the council to provide an action plan for reviewing other cases amid concerns the failings could be "systemic" and affect other children in their care. Mr Johnson, now aged 18 and referred to as 'Mr N' in the report, complained to the ombudsman about the money after his foster placement broke down in 2014. He said the council had not managed his savings in accordance with its own policy and the amount of £270 he received in January 2015 was substantially less than he believed it should have been. He said money used to pay for trips was taken from his savings without consultation and he should have received a special allowance for them instead. "I just want people to have their money, to go on and do better things," he said. "They've had rough years from whenever they've come into care. It's a time with that money, your savings, to move on and have your own life." The investigation found the council's monitoring was "intermittent and inadequate" and amounted to maladministration. It had failed to keep adequate records or retain his saving books at the end of his placement, meaning it was unclear why the amounts were as low as they were. Mr Bennett emphasised there was no criticism of the foster carers in his report, which only dealt with the council's actions. Image caption Nick Bennett, the Public Services Ombudsman for Wales, said he hoped the investigation would lead to "positive changes"
Bridgend council acknowledged its response to Mr Johnson's initial complaint may have appeared "dismissive or unsympathetic", and apologised, saying this had not been its intention. Mr Bennett has shared his report with the Welsh Government, saying the case raised important issues over looked-after children and their savings at local and national level. He recommended the council should pay Mr Johnson £3,310 - which has not yet happened. Mr Bennett said: "I hope the issues my investigation has raised will lead to positive changes and the development of further national policy on long-term savings for looked-after children, reflecting the need for councils to secure the outcomes every good parent would want for their own children. He added he was disappointed the council had not made the payment to Mr Johnson and would be "forced to issue a further special report" if it continued to fail to do so. Bridgend council accepted all the recommendations in the report, apart from making the payment to reimburse the savings. A statement from the authority said: "Our position is that [Mr Johnson] has not suffered injustice or hardship." The council said there was no national policy or legal requirement in place regarding the savings of looked-after children and it had asked the National Fostering Framework to consider establishing one. "We take our role as corporate parents for looked after children extremely seriously, and will be taking actions to address the other recommendations made by the ombudsman," it said. The Welsh Government said it was considering the recommendations in the report.